I'm celebrating the fact that both of my boys are down for naps - AT THE SAME TIME! Can you say "Mom Victory!" It's my personal Mini Win and I'm celebrating with TastyKake Minis, delicious bite-sized cupkakes that are perfect anytime of the day. Yes, even breakfast - I know because I've tried, just add coffee. "Yum" is just about the only thing I can say about the incredibly delicious, rich and decadent TastyKake Minis. These little treats are the perfect shareable snack. With three mini cupkakes in each pack. My husband and I like to split one and give the third to our oldest son - who's now always asking for "cupcakes." They are a bit rich so I personally can't eat the entire pack but I don't think my toddler would have a problem annihilating them all. Plus they are filled with Reese's peanut butter and really does it even get any better than that? 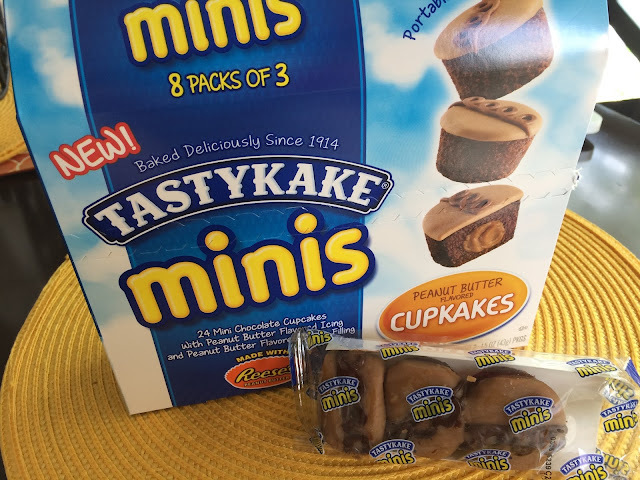 My family was able to try the TastyKake Minis Peanut Butter Cupkakes because we received a box of them for free from Influenster for testing purposes. You can get a delicious package for yourself at most grocery stores or check out more from TastyKake Minis here or here.